Microsoft Dynamics CRM integration is available from Fantastic and above plans. Only admin of the HappyFox Chat account can set up this integration. 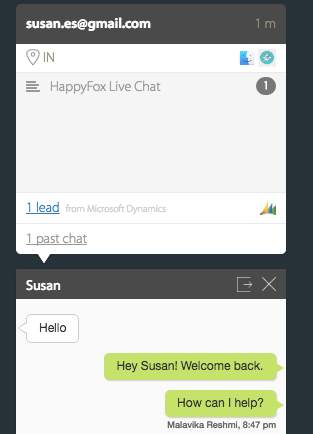 HappyFox Chat supports 2015 and 2016 online versions of Microsoft Dynamics accounts. Ensure that user account used for integration have sufficient privileges for read/write operations for lead and contact management and its associated activities/cases. 1. 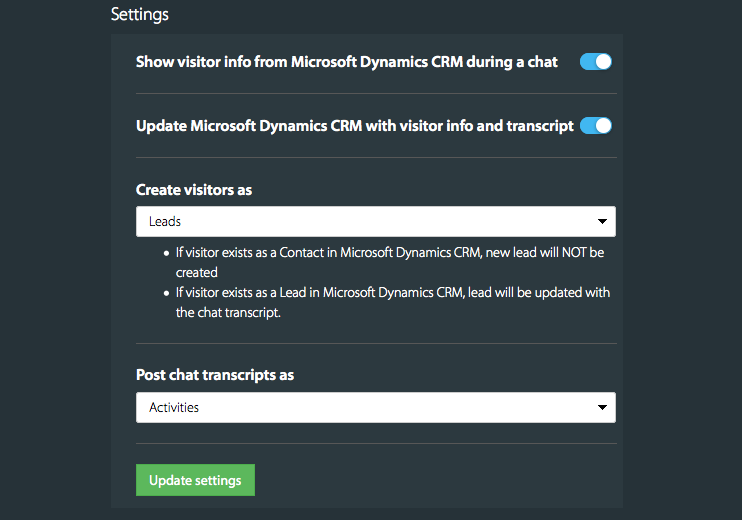 View the visitor information from Microsoft Dynamics CRM during a chat. 2. Create leads and contacts in Microsoft Dynamics CRM from chat transcripts. 3. 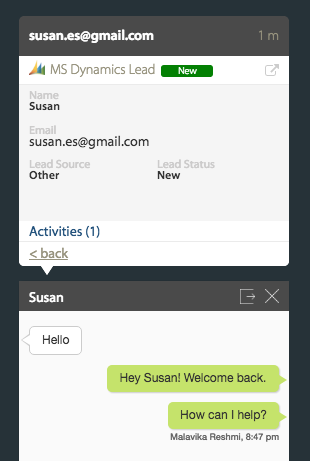 View the statuses of each lead or contact during a chat. 4. Update chat transcript as activity or case on Microsoft Dynamics account. Step 2: Go to Apps and select Microsoft Dynamics CRM. Click INSTALL / TRY FOR 7 DAYS. (There is a 7-Day free trial for this paid integration). 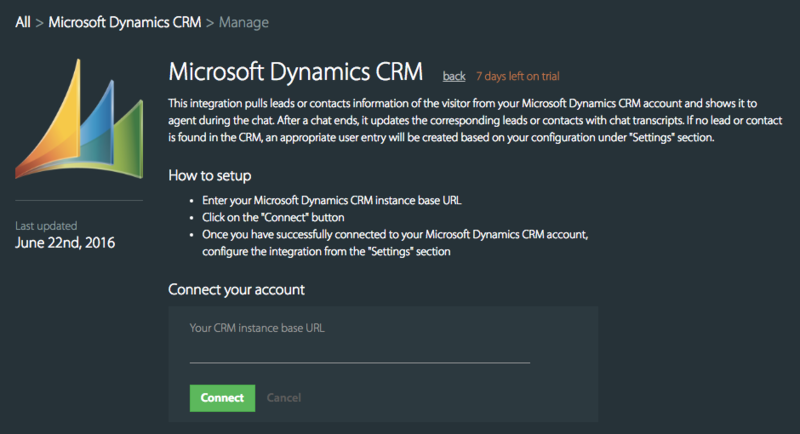 Step 3: Enter your Microsoft Dynamics CRM base instance URL and click Connect. 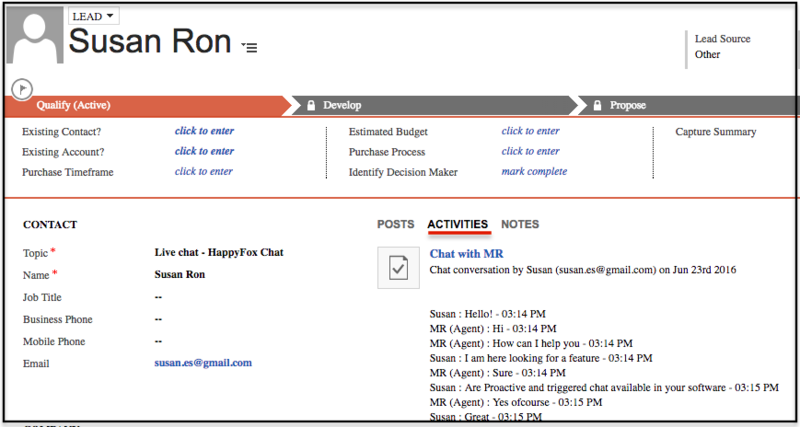 Step 4: On clicking connect, you will be prompted to grant access for HappyFox Chat to integrate with Microsoft Dynamics CRM. Click Accept. You have now successfully connected your Microsoft Dynamics CRM account with HappyFox Chat. Step 5: Now, turn on the options under settings. Set your preference to add customer as lead or contact. Click Update settings. 1. View the visitor information from Microsoft Dynamics CRM.